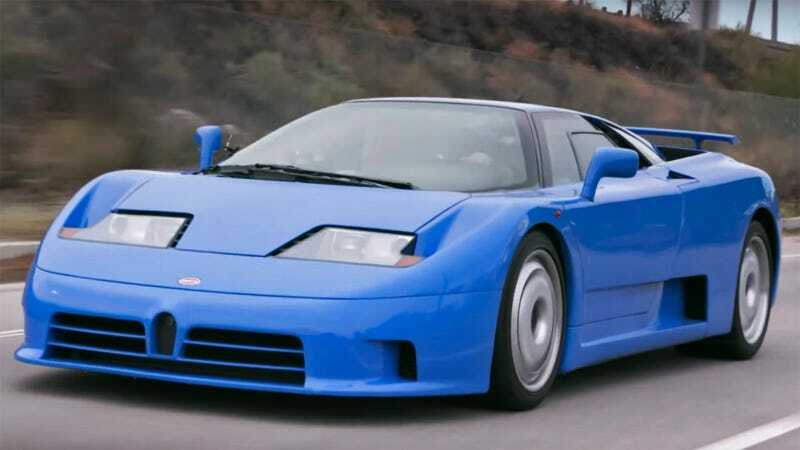 I was tempted to call this post Only ’90 Kids Will Understand, because I’m pretty sure every single one of my friends, regardless of whether or not they cared about cars, had a toy blue Bugatti EB110 20 years ago. Even today the car still looks wild, and the more you learn about it the more amazing it seems. The EB110, named for the Italian-born France-residing automotive designer and entrepreneur Ettore Bugatti. The car came out 110 years after the man was born. The vehicle’s spec sheet is impressive in 2019, and it was absolutely ridiculous in 1991. With over 550 horsepower, a six-speed manual and all-wheel-drive, the EB110 was supposed to not only be fast, but actually decently drivable. That was still a somewhat novel concept for cars of this caliber 25 years ago. The carbon fiber chassis, which was built by a French aerospace company, cradles an oddly small 3.5-liter V12 fitted with an oddly large amount of turbos: four. Yes, the fact that the EB110 did indeed have four turbochargers is the one that surprises most casual car fans who are just learning about this thing. The fact that the side roll-down window had to be small, because anything bigger would break under the air pressure near the vehicle’s top speed of 213 mph, is what surprised me after watching Jay Leno’s walkaround video here. And here I always thought those awkwardly small supercar windows were just part of weight saving measures. Leno’s video is neat because the man is full of factoids like that, but as per a comment from a YouTuber EE DESIGN, there are actually even more great deep-dive videos about the EB110 on the Davide Cironi Drive Experience channel. I forgot how much I loved this car, but I’m thankful to Mr. Leno for putting it on my YouTube feed today and inspiring me to hop into a Bugatti rabbit hole. 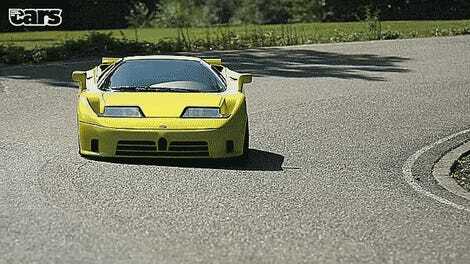 I wonder if my parents still have my EB110 model somewhere.